Altigen’s software-based IP PBX and Contact center solutions may be purchased and installed on-premises. Existing customers have the option of migrating their legacy hardware-based Altigen systems to the current all-software version or to Altigen’s hosted version. Learn more… Migrating to MaxCS Private Cloud for MaxCS On-Premises Customers. Learn more about Migrating to MaxCS! MaxCS Private Cloud is a fully managed 24×7 service, deployed in the Altigen cloud and supported by our nationwide network of certified partners. A complete cloud solution, customers are able to enjoy the robust capabilities of a powerful hosted PBX solution without the expense and management overhead associated with on-premises PBX systems. Altigen’s also offers cost effective SIP Trunk services which have been optimized for MaxCS. Altigen SIP trunks are available for both hosted and on-premises systems, and provide customers with significant cost savings over traditional telecom T1 or analog lines. Whether you are deploying as a first time customer or migrating your existing Altigen system to our hosted service, MaxCS Private Cloud is an easy to manage solution that reduces your company’s communications expenses and total cost of ownership (TCO). Hosted in our geo-redundant data centers, Altigen’s hosted solution reduces communications expenses and an organization’s total cost of ownership. Thousands of service driven companies from banking to physician clinics to professional services organizations depend on MaxCS every day as their business phone system. 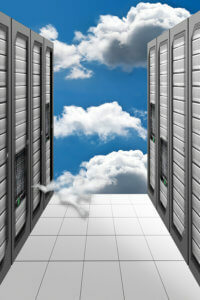 MaxCS Private Cloud customers can easily self-manage the solution.